A.J. (Arjan) van der Schaft (1955) received the undergraduate and Ph.D. degrees in Mathematics from the University of Groningen, The Netherlands, in 1979 and 1983, respectively. In 1982 he joined the Department of Applied Mathematics, University of Twente, Enschede, where he was appointed as a full professor in Mathematical Systems and Control Theory in 2000. In September 2005 he returned to Groningen as a full professor in Mathematics. He served as Associate Editor for Systems & Control Letters, Journal of Nonlinear Science, SIAM Journal on Control and Optimization, the IEEE Transactions on Automatic Control, and was Editor-at-Large for the European Journal of Control. Currently he is Associate Editor for the Journal of Geometric Mechanics, and for Annual Reviews in Control. Arjan van der Schaft is Fellow of the Institute of Electrical and Electronics Engineers (IEEE), and Fellow of the International Federation of Automatic Control (IFAC). He was Invited Lecturer at the International Congress of Mathematicians, Madrid, Spain (2006), and was the 2013 Recipient of the three-yearly awarded 'Certificate of Excellent Achievements' of the IFAC Technical Committee on Nonlinear Control Systems. He is member of the Jan C. Willems Center for Systems and Control. A short Curriculum Vitae of Arjan van der Schaft can be found here. Current research interests include nonlinear systems and control theory, systems modeling of multi-physics systems, hybrid systems, and their applications. Recurrent theme is the development of concepts and tools for the modeling, analysis and control of open dynamical systems. Present focus is on network modeling and analysis of complex physical systems and their geometric formulation as port-Hamiltonian systems, the compositional modeling, analysis and control of systems with interacting continuous and discrete dynamics, and their applications in complex engineering systems, power networks, cyber-physical systems, and systems biology. Port-Hamiltonian Systems: An Introductory Overview (2014, with D. Jeltsema). He (co-)edited four conference proceedings. 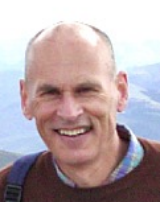 He (co-)authored around 130 journal articles and 275 refereed contributions to proceedings or book chapters; see also his Google Scholar page for further information.